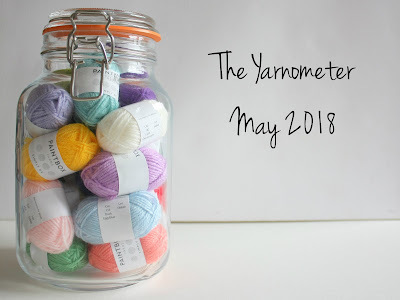 April was excellent for finishing things, but also for accumulating yarn! How did I fair in May? A pair of socks I'd been working on intermittently for a few months. I was so pleased to get these off the needles! You can read more about them here. I'd say that these had been on the needles since November, but that would be a lie: I finished the first sock in December, then abandoned it in a project bag! It felt quite good to get the second sock knitted. You can read all about them here. I had decided that I wanted to make my husband some socks for his birthday, and while I didn't have the whole pair done before the big day, I did present him with one, and managed to get the rest of the pair done by the end of the month. As these socks are giant I was really pleased to get them knitted within a calendar month! 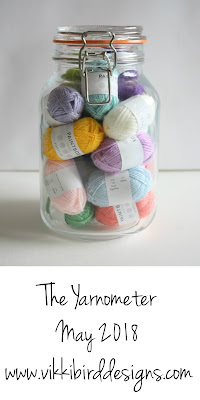 Their FO Friday post will be coming this Friday. I can't share these with you yet, but in May I got two magazine commissions off the needles. Hopefully I'll be able to share them with you soon! 2200g of yarn for an adult size jumper commission (yes, that really is happening)! A 200g yarn box from Unbelievawool; the theme was unicorns and is so pretty! 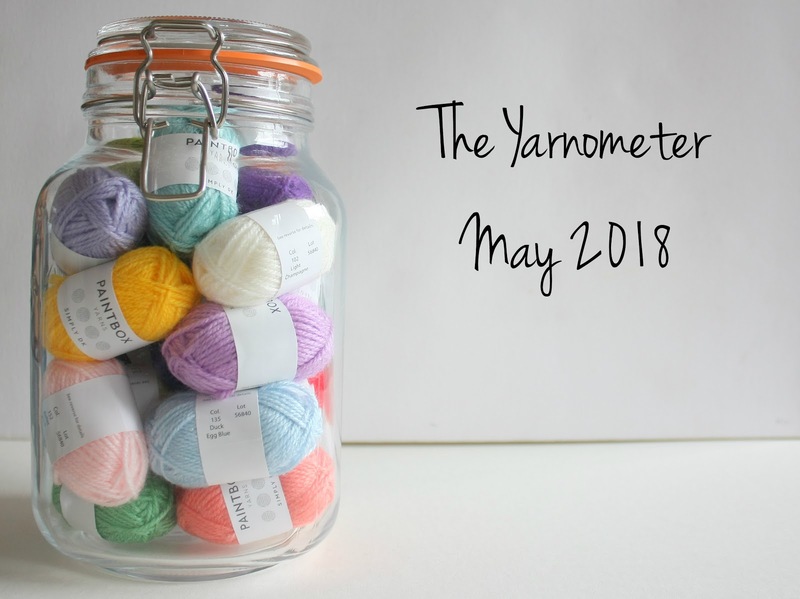 I have no idea quite how so much yarn came in over the course of May; quite a large amount was for commissions, and those are slowing down while I prepare for our new baby to arrive. I already know that June looks a bit better, so fingers crossed I don't suddenly buy loads in the final ten days! Jumper instantly added to my Ravelry queue! Where did you find it? I'm currently recuperating and playing with my stash. I'm making up project packs for myself! It's quite fun.